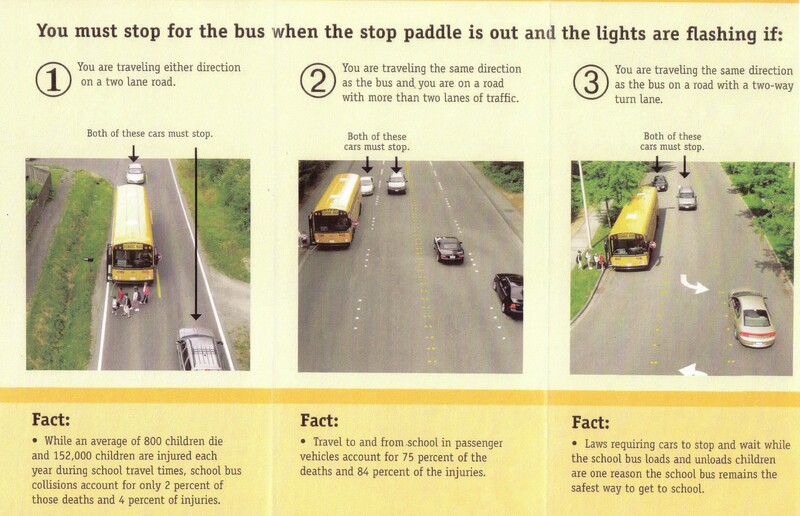 Three years later and little has changed in CW; we are still in a recession, E Street is now two lanes and bottlenecked, HWY 14 is a mess – with the goofiest design ever including 2 roundabouts – drivers not knowing the difference between the word “yield” and “stop”, rising utility rates in both cities, etc. lots to talk about. Walking through our community allows me to see a diverse group of opinions – so many people wanting to capture my attention and in some way, sway my vote for their favorite candidate by blighting the side of the road with signs. McCain-Palin, Sutherland, Duplessie, Herrera, and others I can’t remember. After awhile, the constant barrage all becomes a blur of political propaganda that has wore me out. Then there is the “O”. 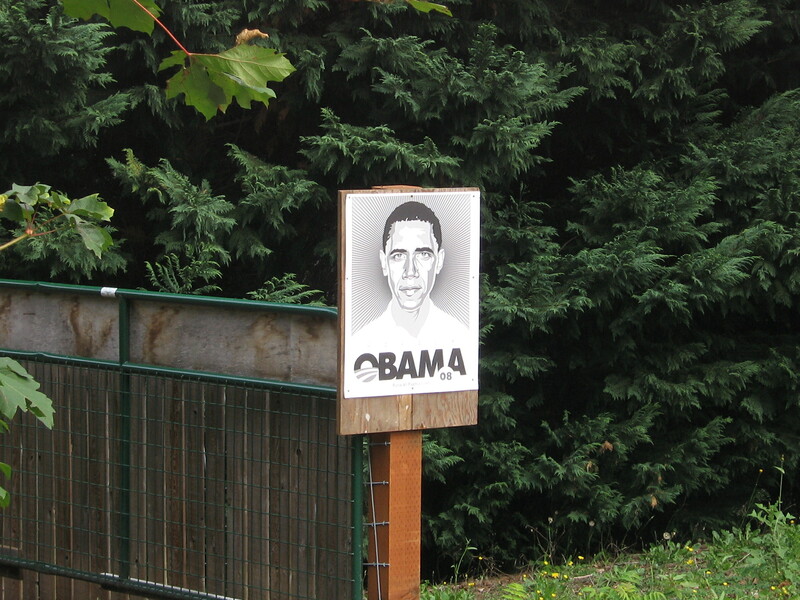 Like the grand master of martial artists or the Savior of the faithful, Obama signs permeate the neighborhoods. 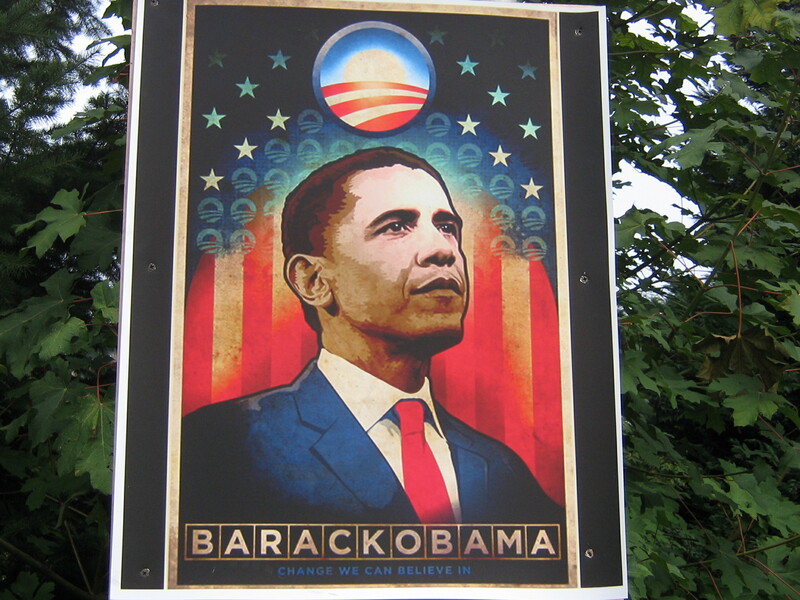 Not only are there the Obama-Biden signs – traditional political signs dashed in patriotic colors, now the “O” has taken it further – into a cultish worship of the man. If elected, some really believe he will save us all. According to statistics, Camas and Washougal traditionally votes conservative (Republican) but based on the “O” disciples, McCain isn’t too popular in these local parts. Can anyone really save us? McCain or the “O”? No matter who is elected, I doubt very much will change. 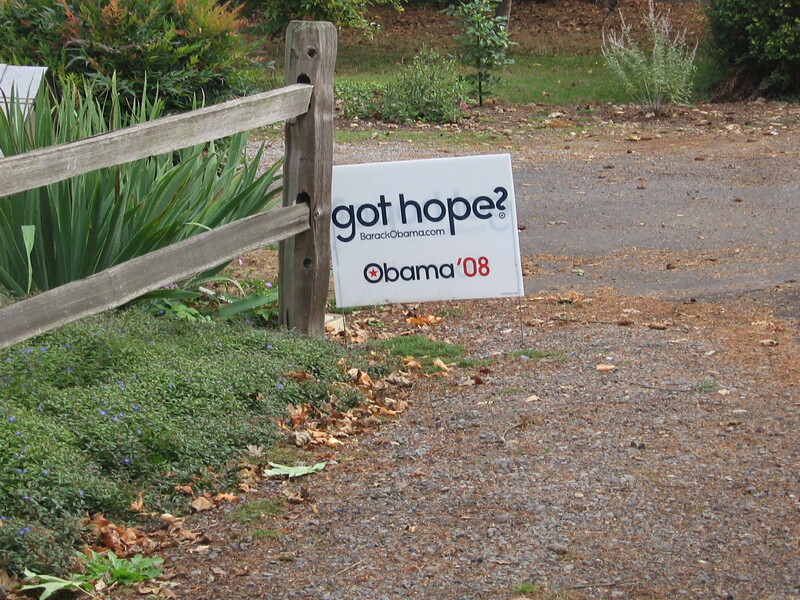 The change I’m looking forward to begins on November 5th, when all the signs come down. What used to be “Wagon Wheel Park” and a roller skating rink transitioned into the Riverside Bowl in the late 40’s and remained a favorite recreation spot for Camas families and bowling enthusiasts until last month, when it quietly shut its doors and turned off the lights. The area is expected to change again and become a slew of condo’s overlooking the Washougal River.